Are you thinking about renovating or completely remodeling your kitchen and wondering how to choose a tiled kitchen backsplash? To help convert your kitchen wall space to an attention-grabber we have got these hints on tiled kitchen backsplashes to show various examples such as a glazed ceramic tile backsplash. For visual interest, this particular design uses tiles of various sizes, including decorative field tiles and fanciful border tiles. The result is an attractive, durable, easy-to-clean surface that greatly enhances the overall look and functionality of the kitchen. The kitchen is more than likely the main part of the house that we spend our time in these days, and thats more than likely not just for cooking and cleaning. It is no longer a place where we just cook and go. The kitchen is seen and a premium area of the house nowadays, so its has become more important that it looks rather stylish as people dont just want to feel good about their food they want to feel good about where they are preparing it. Thats why many are opting to modernise their kitchen by having a nice shiny kitchen backsplash installed or fitting one themselves. Maybe you already have a pretty good looking kitchen but you are getting tired of your current design. Your kitchen might be missing something so maybe is it time to really change how the kitchen looks. Backsplashes can really complement the kitchen, so maybe you need to consider some of the following simple backsplashes ideas for the kitchen that can help lighten and brighten your kitchen. There are some definite ideas that you need to consider in creating your backsplash designs. Start with a strong theme and move forward from there. Decide on a color scheme to be used and then move on to the other elements planned. Your choice of materials and texture is really important, with use of imagination being the secret to success in choice of the perfect design. When choosing or designing your new backsplash you have the choice of so many differing styles colours and materials. You can consider a mural on your backsplash tiles. For example you could get an artist to create your own kitchen backsplash design by custom hand painting you a mural on ceramic tiles by hand to order. They will usually be able to do this in any pattern, style, theme or colour. Or maybe you can get a picture printed onto individual tiles that then make one glorious picture when the tiles are stuck up on the wall. You should also study the colors of your current kitchen accessories or consider the purchase of new items in the kitchen before you make your choice, otherwise it might not work. Backsplashes can be very bold if thats your style or they can be extremely plain and simple. The backsplash area is possible the busiest and hardest working place in your kitchen, that is likely to acquire food stains from all the various kitchen activities. So its definitely a place that could do with sprucing up and making less functional. So redesign your kitchen backsplash to bring together the entire kitchens kitchens design. Add a new sense of character and flair to bring your old drab kitchen space into the trends of today and turn that very standard and function area into the main centre stage for your kitchen. You may just want to update your kitchen backsplash to make your kitchen look shiny bright and new. Take the time and effort create a beautiful kitchen backsplash for your kitchen and you will be well rewarded. 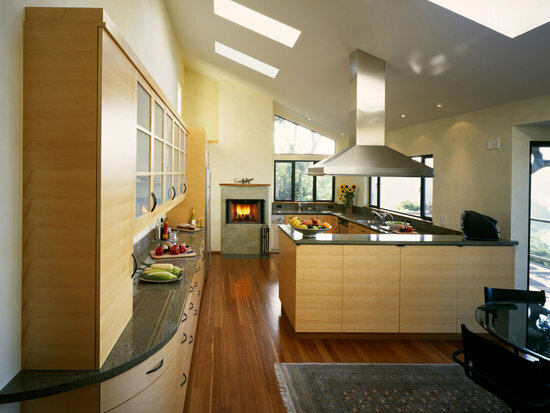 Your imagination is your first tool for designing an new lok for you kitchen so make the most of it. With so many choices of designs its amazing what you will be able to think of for your backsplash. Materials to choose from for your modern design for your backsplash range from glass, ceramics, metal, steel, tin or other such materials. Sometimes people choose themes when embarking on a design for a backsplash and when bouncing around ideas, choosing colors and looks. Accompany these with some clever designs and you can create a backsplash that really stands out. Traditional backsplashes can be made from marble, or unusual materials for today such as earth colored chipped tiles which would give a more traditional look in the kitchen. These are the little touches that make all the difference. Just be sure to consider all of the available options where possible. Look around all your local stores for ideas, and dont forget that you can request free samples to take home and compare with current colors or to help motivate you with ideas. There are all kinds of possibilities for kitchen backsplashes these days. You may just stumble across a new style that wasnt something you had seen before or considered. Dont forget that the kitchen backsplash is probably one of the most affordable ways to improve your kitchen. With the right choice of tile and material you can add to the style and the elegance of your kitchen, or just add a bit to the atmosphere oand fun. Look for the latest trends in kitchens to help you decide if you want to go for a contemporary look or look around further if you want more traditional styles. Think stainless steel, glass mosaic, colored sheet glass backsplash, brick backsplash, stacked stone backsplash, copper panels, gold tiles, mirror tile, ceramic tile, marble, granite, bead board, embossed tin and on and on. Dont limit yourself and remember to shop around as much as you can. The kitchen backsplash of your dreams is out there somewhere! Fantastic ideas for the kitchen! I personally love the traditional backsplashes. Excellent view!Great Article.This is possible only when we have a good quality kitchen cabinets. Traditional back splashes have been my favourite of all times. But the way all these installations have been done, i really appreciate it. Modern designs with clean finishing of granite finishing is awe fully done. I am a granite installer myself and know how much effort it takes to deign a kitchen of clients dream. But your images look perfect and so does the work. Well Done!! Visit my granite worktops websites too to know more about various kitchen options. I just got done doing my kitchen i got my granite orange county from a great vendor with a huge selection. A great tip to get a great deal on granite ask the slab yard what slabs have been sitting around for a while just taking up space in there yard they usually have a few. Back splashes is an important factor in kitchen.Thanks for providing an systematic information.Affordable Kitchen Cabinets. When you're investing in buying a fantastic kitchen countertops, you will find some considerations you need to be looked right after. Great Article.This is possible only when we have a good quality kitchen cabinets. for the help in health tips vist on site for rhinoplasty san diego. Wow ,awesome design.I like all of those.Thanks for sharing those beautiful pictures.I like your style. measure and manage the results. take extraordinary steps to ensure this. Some homeowners who remodel or build new homes have an interest in recycled glass counter tops instead of the far more traditional granite counter tops for environmental reasons. Backsplashes looks very Elegant and awesome. I've seen slide show and kitchen also look very neat and clean. These are stunning designs. Good thing I manage to find these because I and my partner were having a hard time on thinking the new design for our kitchen. I hope the brown one will perfectly suite on our newly bought granite countertop. This blog has a lot of good kitchen backsplash examples and some of them are really stunning. I just recently installed some subway tile backsplash in my kitchen using some subtle blues and greens. I think it looks really great and it is very unique just like some of the photos you posted on here. This is a dream kitchen. Kitchen is always been a second favourite of mine whenever I am at home. I like cooking and I and my friends often hang out at our kitchen for a taste of gourmet food. If your counter tops are scarred and dated, an additional technique to update the kitchen countertops is to install new counters. Purchase discount & luxury kitchen lights to give your kitchen a lighting effect that is natural, warm, modern and relaxing. Creating the perfect kichen lights setting is necessary especially if you have a dining section in the kitchen. www.modwalls has some awesome back splash ideas, especially the custom blend section. Fantastic view!Great Content.This is possible only when we have a top quality display cases. Kitchen renovation is really hard thing to do.Specially choosing what is the best but because of your article it gives me some idea,thanks. One achievable solution would be to tell the landlord about it. Supply to pay a portion of the replacement of the kitchen countertops. The advantage to him is that he gets a new kitchen countertops and gets assist paying for it. Wow ,awesome design.I like all of those.Thanks for giving those wonderful images.I like your design. Love this kitchen, it looks brilliant. I really like your kitchen, it looks great. Renovating a kitchen area is one of the most important locations in a home. Some of the most popular kitchen upgrades include upgrading the cabinets and the backsplash to give a coordinated feeling to this important home work area.